Our starting package is priced for Casa Ventanas, but guests may also select from our five premium, Caribbean front, villas. Each of our premium villas has a private, sea front, infinity edge plunge pool and alfresco shower. 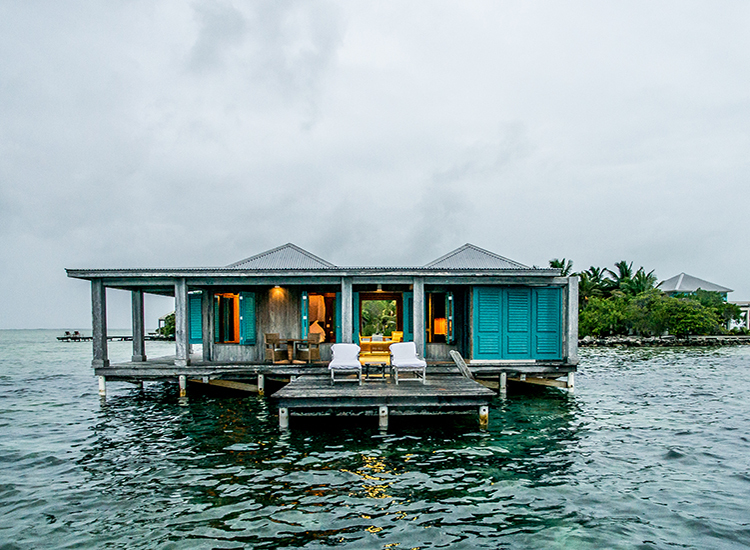 Cayo Espanto, a private island paradise combines the ultimate in luxury and seclusion. We invite you to spend enchanting evenings and unforgettable days overlooking the Caribbean while our staff sees to every detail. Choose 5 – 7 night stay in our luxury bungalow, Casa Ventanas. Packages valid for stay in Case Ventanas between the dates of January 7th through December 15th, 2019. For new reservations only. Packages are subject to change and are based on availability. Island Jungle and Adventure Exclusive cannot be combined with any other offer. Villa upgrades to any of the villas are accepted with this package, but are subject to availability and rate changes. *Rates are all inclusive. Includes all taxes and resort fees.